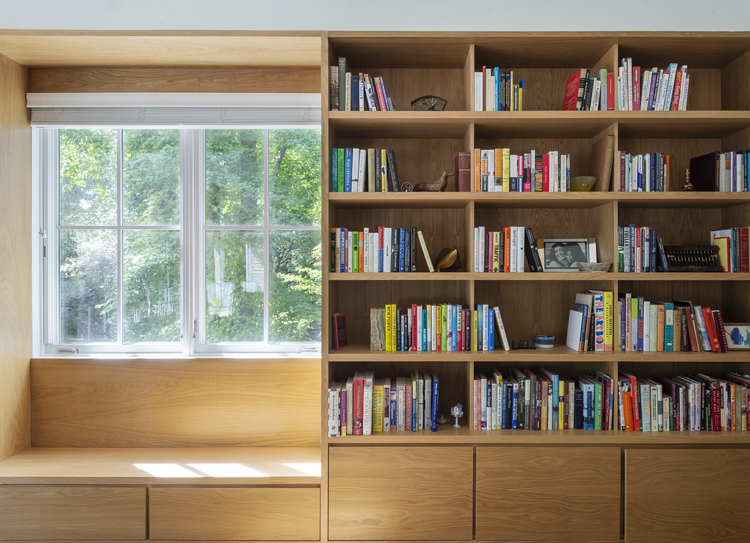 This 10,000 sf house was designed for a family of five on a lot overlooking the Springton Reservoir. 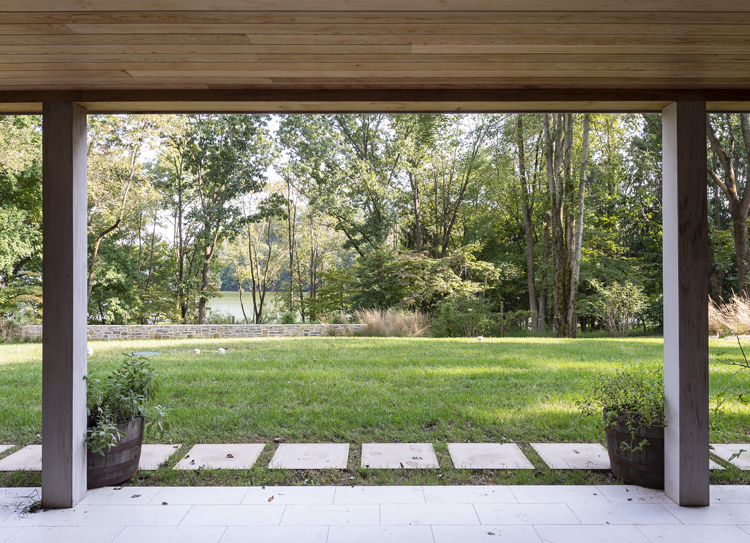 The overall massing was based on two massive stone volumes bookending a central wood clad volume set back to create covered porches overlooking the driveway in the front and the lake view at the rear. The common spaces at the ground floor were arranged as a series of rooms with grand proportions, connected to each other through large framed openings. 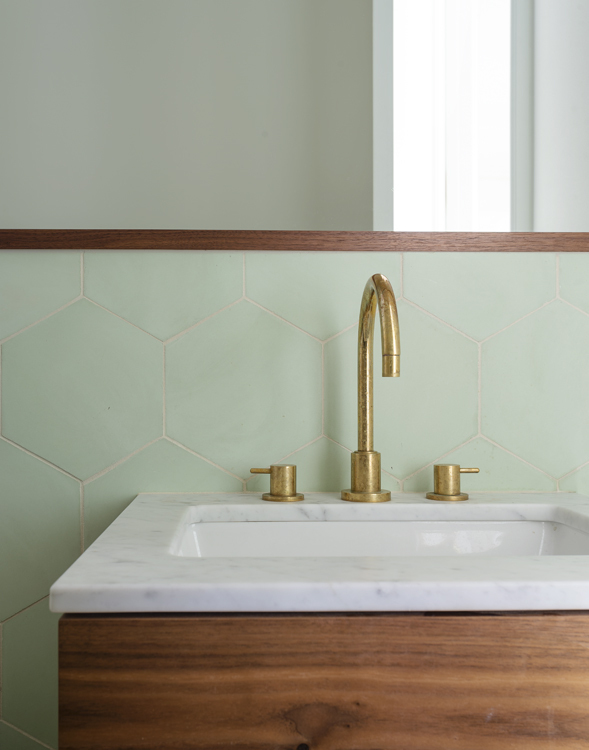 In response to the needs and taste of the owners, the interiors were designed with traditional detailing, often re-interpreted to fit modern day living. 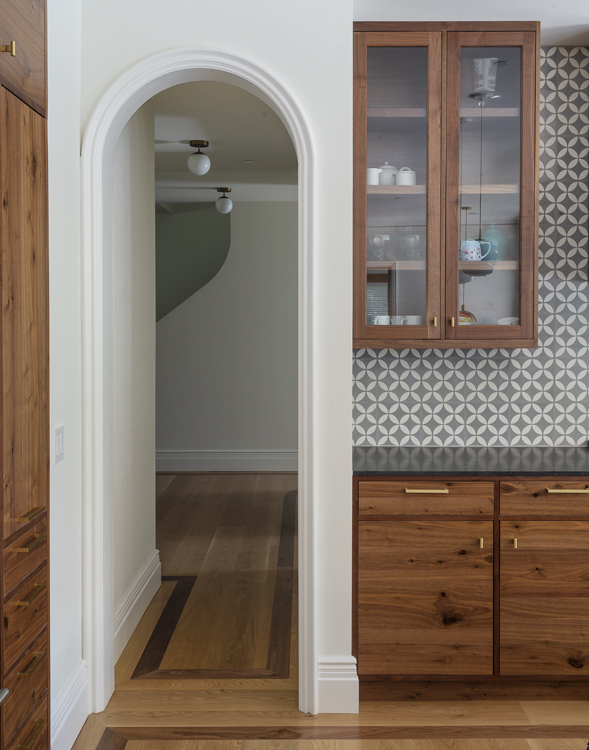 White oak, walnut, limestone, playful cement tile and brass hardware dominate the palette throughout.